Instant Glass & Glazing have been supplying and installing Fitted Commercial Mirrors for all types of Commercial Glazing applications. All our glaziers have many years of experience in installing all types of Fitted Mirrors, regardless of complexity or size. No job too big or too small. Are you looking for Fitted Commercial Mirrors? Regardless of whatever type of business you are, Instant Glass can help you with a range of different applications available. If you are unsure of what you need and are looking for advice, then we can arrange a free visit so that we can make a full inspection of the premises and give you the detailed analysis of exactly what types of Fitted Commercial Mirrors you require. All our Fitted Commercial Mirrors that Instant Glass supply are of a very high specification and can be cut to size. They are safety backed and processed to each clients’ individual requirements. If you have any questions about our Fitted Commercial Mirrors, then please get in contact with our customer service team for more advice on 020 3890 4116 or alternatively, please send us a message via the website. Instant Glass & Glazing can install some of the following types of Fitted Commercial Mirrors which include; Antique Mirrors, Bathroom Mirrors, Hairdressing Mirrors, Hotel Mirrors, Office Mirrors, Large Bespoke Gym Mirrors, Dance Studio Mirrors, Mirrored Flooring, and a range of other Commercial mirror applications. Instant Glass can provide a free advice and quotation service, so please get in contact today. Instant Glass and Glazing can supply and Install Commercial Mirrors in Morden, Croydon, Wimbledon, Sutton, Cheam, Purley, Wandsworth, Clapham, Putney, Balham, Tooting, Lewisham, Kingston, Richmond, Guildford, and the whole of Greater London & Surrey. Instant Glass & Glazing prides itself on the reputation it has built in supplying and Installing Commercial Mirrors. We are constantly thriving to improve the quality of service we offer to our clients. Our average customer review rating is 9.8 out 10. This rating is based on Workmanship, Invoice quote and final price, Courtesy, Tidiness, Time Keeping and Reliability. If you want a professional Glazing Company that really cares, then Instant Glass should be your first choice. 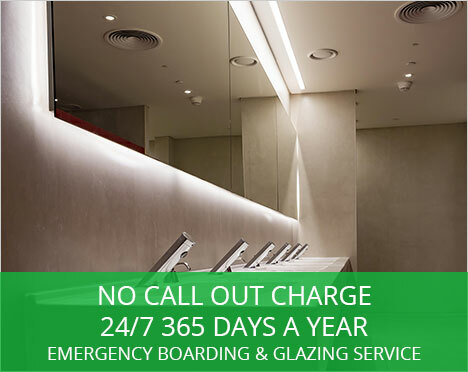 For more information about our Fitted Commercial Glass, please get in contact with us on 020 3890 4166, or alternatively, please send us a message via our website, and we will contact you back.